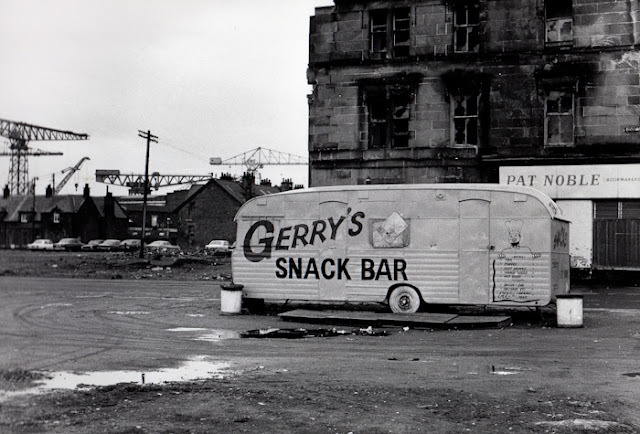 I came across Gerry's Snack Bar in Clydebank. Although it was closed at the time I took the photograph, I believe it was in open from early morning until after lunch to serve the workers from the yards nearby. The Browns ship yards can be seen in the background, but I'm not sure what street the van was in. I would be grateful to hear from anyone who can remember more about this caravan.